The trainings conducted were very good. The trainer had in-depth knowledge in the field. Thank you Manikanthan & Priyanka Singh. Cork is a city situated on the River Lee in South-West of Ireland. Cork city is the hub of industry in Ireland. Cork is also the European headquarter of Apple Incorporation and Logitech along with several other research and development teams. In the fast-paced, technology-dependent economy it is important for the young applicants to pursue technology-related courses like the Certified Scrum Developer training in Cork offered by KnowledgeHut. Led by the Scrum Alliance authorized tutors, the Certified Scrum Developer certification in Cork is an intensive five-day program. At the initial stages, topics such as basic scrum principles and fundamentals are covered. However, as the training catches pace, live demo and practice sessions are performed on solid design principles and unit test framework. 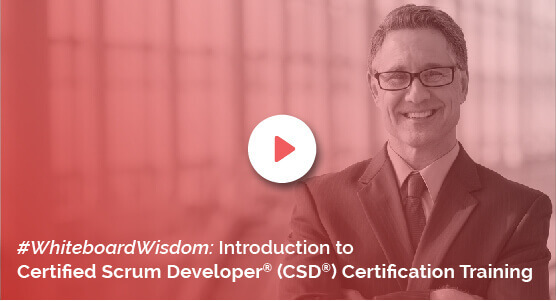 The CSD certification in Cork helps the applicant understand the importance of continuous integration and how it can be applied. Having grasped the agile engineering skills from the CSD training in Cork, the trainee can apply better design alternatives. The institution also certifies the credential of the registered person regarding the understanding of the scrum principles. Right from the basics, the trainees will be progressively taught about the many complexities which encapsulate scrum in its entirety. This enforces maximum retention of the many invaluable teachings of the course. KnowledgeHut provides cutting-edge solutions through its training material. The CSD course in Cork is a global registered course at a very reasonable cost. All the necessary lectures, coaching and training are provided by the academy. Partner up with KnowledgeHut and enhance your professional quotient by manifolds in this competitive industry.